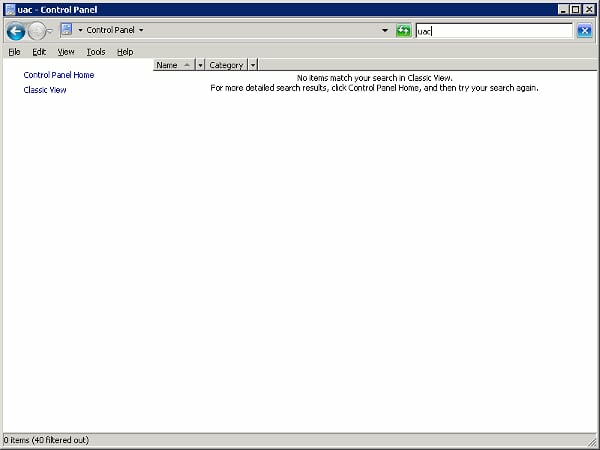 In order to search for any Control Panel item, you should not use “Classic View”. As an example, if you want to turn off UAC (not recommended though), you search for “uac” with the normal Control Panel view and the option should come out. 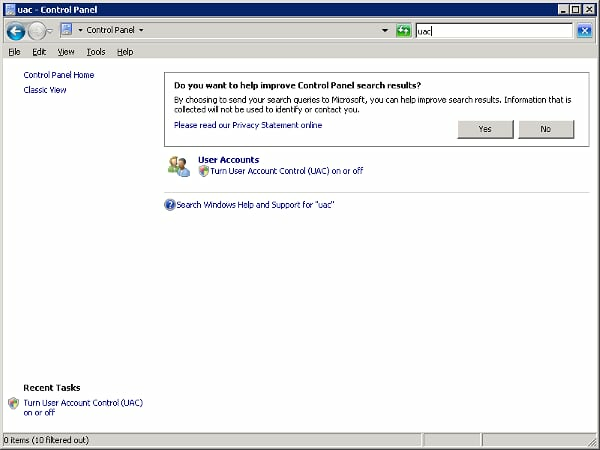 The good news is the issue is fixed in Windows 7, with which you can search the Control Panel in any view.